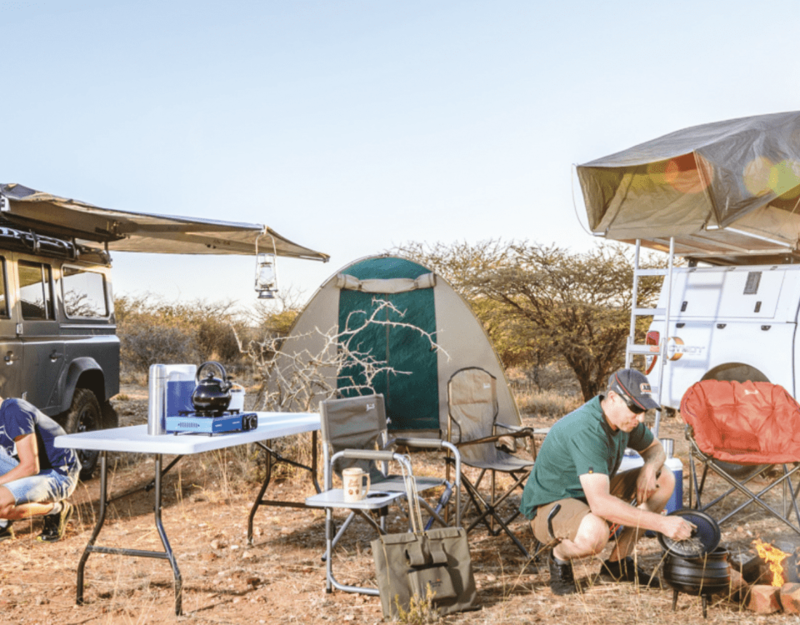 Situated on the first Kalahari dune from the western side, Teufelskrallen Tented Lodge offers visitors a panoramic vista across the endless plains and stretches of typical Kalahari dunes. The comfortable, fully furnished tents all have a large viewing deck and an own private bathroom. A short boardwalk connects the tent with the bathroom. 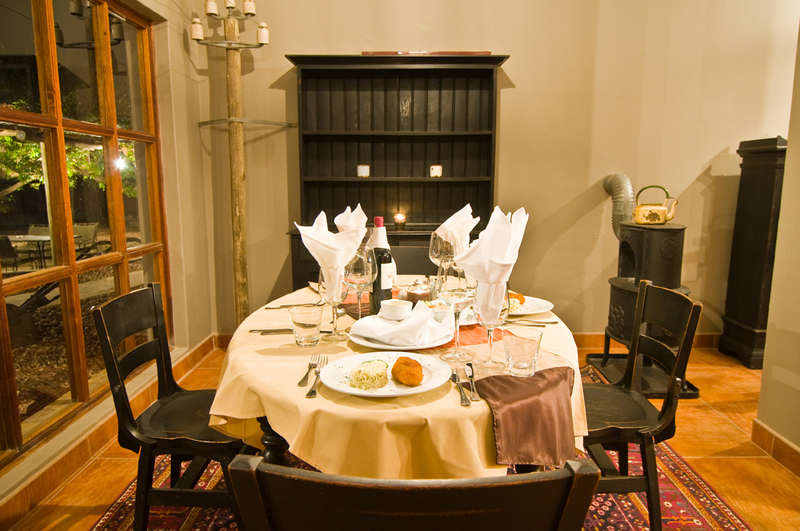 The ‘old’ farmhouse, located three kilometers away from the tents, hosts the reception area, restaurant and swimming pool. On nature walks and nature and game drives, guests will experience the breathtaking beauty of the Kalahari Desert with its sinuous, red dunes up to 30 meters high, and the wide variety of game. Enjoy almost 10,000 acres of pure Kalahari desert during a Game Drive. Climb red dunes that elevate up to 30 meters in our open off-road car and watch the spectacular animals and vegetation. 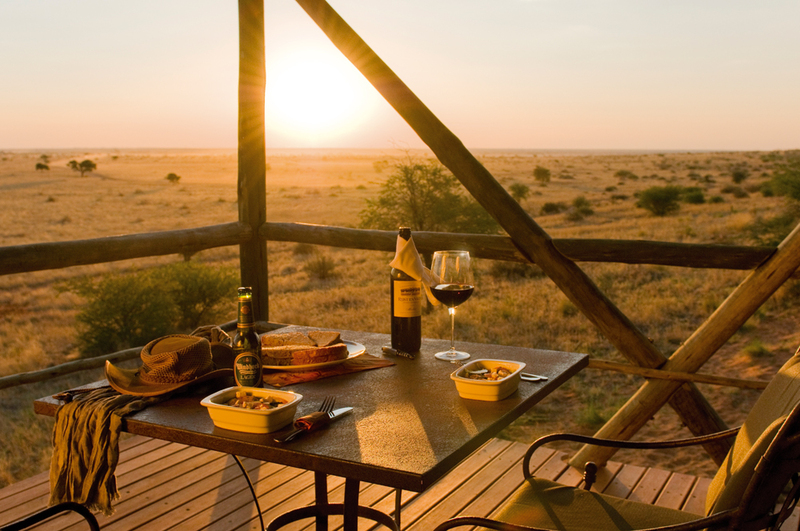 Experience the Kalahari desert in its pristine natural state. The following animals roam the private game reserve on almost 10,000 acres: Giraffe, eland, black wildebeest, blue wildebeest, Hartmann’s mountain zebra, plains zebra, nyala, impala, springbok, blesbok, red hartebeest, oryx, kudu, steenbok, porcupine, pangolin, aardvark, warthog, ostrich, as well as many common small animals and waterfowl during rainy season. Top your Devil’s Claw Tented Lodge day with our Sundown Drive. Enter the sunset in our open off-road car with expert guidance. 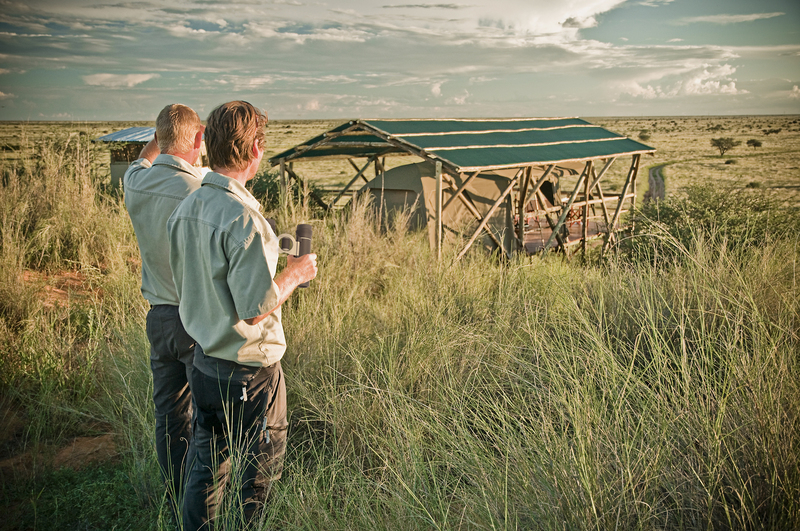 Immerse in this most beautiful hour of the Kalahari desert.